Even if you have the best and bushiest beard, it needs a good trim every now and again just to keep it in good shape and healthy. Male grooming is important, and trimming your facial hair is all part of taking care of yourself. Of course, you need to be equipped for the job. All you need is a really good quality trimmer so that you can stay on top of things nicely and keep everything under control. You’re going to want to invest in something that is excellent quality, comfortable to hold, and one that is going to do a good job while also being gentle on your skin. There are a few boxes to tick, and you need to make sure your choice checks them all. We know it’s not easy to choose the right bear trimmer, but that’s where we slide in and lend a hand. 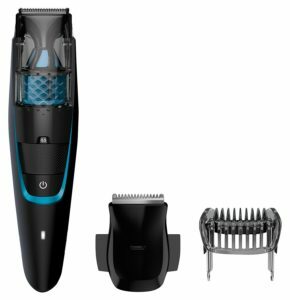 In order to help you find the best beard trimmer UK, we have put this guide together, compiling all of the relevant beard trimmer UK reviews in one place, allowing you to find the perfect one for you. Phillips is a classic brand to go for, and one that instils confidence in those that use it. If you are searching for a beard trimmer on a budget, then you might want to consider taking a look at these, as they might just be the right ones for you. Have a peek below and see what you think of it. This beard trimmer has a really sleek design, with an ergonomic handle that makes it very comfortable to hold while in use. 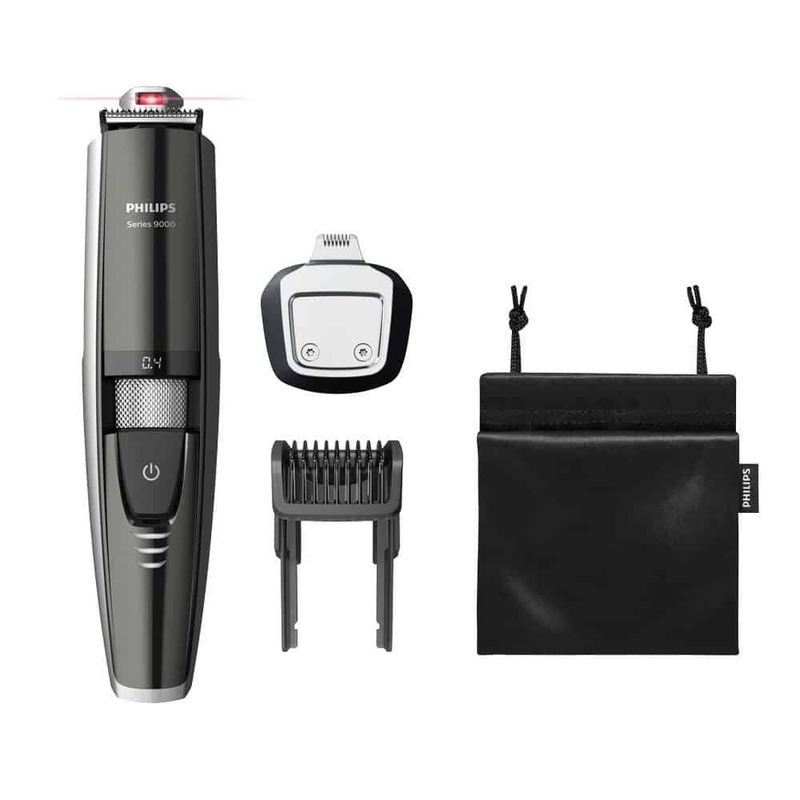 There is a laser guide included, ensuring that you give yourself a clean cut that leaves you looking very smart. The length setting is easy to adjust, with the addition of a dual-sided trimmer for getting right into those small spaces, you will never miss a spot again. It can be used for wet and dry shaving, remaining gentle on your skin at all times to prevent irritation and keep it feeling smooth. After an hour of charging you get a full hour of use, but you can also use it as a wired model if the mood takes you. The battery indicator on the trimmer will let you know how much is left, and the LED display means that you can always see which length you’re on. Some customers would have liked a closer shave when trimming their beard or stubble. This beard trimmer comes at a reasonable price and from a trusted brand, and it is great for those who are trying to stick to a budget when purchasing a trimmer. 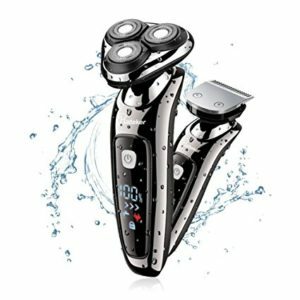 While there are some who feel it could have allowed for a closer shave, it does an excellent job either way, with a great selection of lengths and an LED display that keeps you informed at all times. It’s comfortable to hold, gentle on your skin, and makes sure the job is done. Another model from leading brand Phillips, we understand that everyone has a different idea of what a budget means, so we have picked another model for you to look at. It’s worth taking a few moments to read below and see if this is going to be the right trimmer for you to use. This beard trimmer has a really sleek design, with a comfortably shaped body that allows for a good shave without exhausting your hand. It is also kind to your skin, with a gentle trim that leaves your face feeling smooth and ensures there is little to no irritation when you are finished. It can also be used wet or dry, which gives you a little more flexibility with your daily trim or shave before work. Some customers would have liked a razor head that was more flexible. 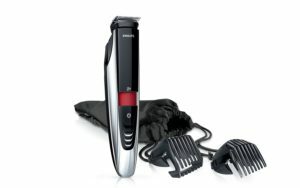 This beard trimmer is really cheap, and the low price means that you can fit it into your budget with great ease – a massive relief for those who don’t want to spend a lot. While there are those who feel it could have done with more flexibility, the precision blade does make up for this as it is able to slide right into the tight areas and get things done. It’s comfortable to hold, gentle on skin, and provides the close shave that you have been looking for, all for a really low price. BaByliss is another leading band, and probably the most well-known out of all of them – among both men and women alike. If you are searching for something to tackle your stubble professionally, you need to stop and read the reviews below because this could be just what you needed all along. This beard trimmer has been designed specifically for tight beard and stubble control to keep everything close and the way you like it. You can shape the edges, style, and neckline for the look that you want most, and the LED screen will show you which length you are at so that you can keep track of what you are doing. It’s waterproof too, so you can shave exactly how you want to. The comb and blades are friendly towards your skin, keeping it soft and smooth while also ensuring that there are no rashes or irritation left behind. The floating head follows the contours of your face with great ease, and the motorised control means that you reach the closest possible shave. After a 90-minute charge period, you are left with a solid hour of shaving time, perfect for a number of shaves. It can take a longer period of time to get longer hairs because of the guard. This beard trimmer comes at a very reasonable price, and it is perfect for stubble, especially as it was designed just for it. Some customers had some trouble getting the longer hairs because it can take more time, but it has been made to deal with short stubble, so this should be expected. It offers an incredibly close shave, a gentle touch on your skin, and all the flexibility you need to have the perfect shaving experience. Swinging back to Phillips again, this model has everything you need to keep your stubble under control when shaving. If you are looking for a model that will really do your stubble justice, this is one for your consideration. Take a moment to read the reviews below and see what you think. This beard trimmer has a comfortable design that sits well in the hand and really offers you the grip you need for full control. Made to tackle your stubble, the precision blade will cut close for a truly smart and fresh look. The innovative lift and trim system also mean that you can snip your stubble with one clean stroke, raising the hairs to the optimal position for a truly clean and quick shave. There is laser guiding to help you get the right spots, and ensuring that you have a completely symmetrical trim. The stainless-steel blades are exceptionally sharp for long-lasting performance, and they sharpen themselves every time you shave so that there is less maintenance for you. It’s waterproof for cleaning and wet shaving, and also boasts a long battery life that will keep on giving. A number of customers find the laser feature to be quite gimmicky and not as useful as it could be. 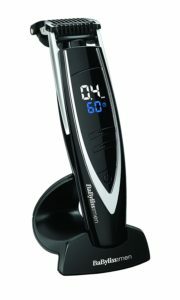 This beard and stubble trimmer are ideal for those who want to keep a close shave and ensure that their stubble always looks its best. While the laser feature can be a bit fiddly and feel useless to some, there are others that love it, and it actually does just as good a job without it. Comfortable to hold and with a whole host of features and settings, it gives you everything you could need and more. 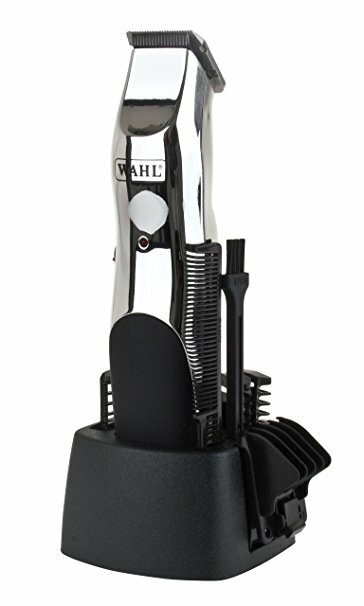 Coming from leading brand Wahl, this could be the perfect model if you are really strapped for cash. 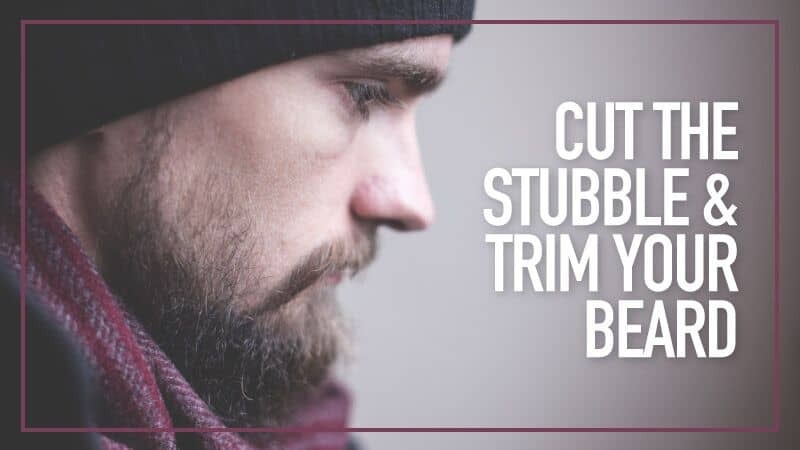 We know that beard trimmers can be really expensive, and having a cheaper option is an absolute must. For something affordable and good quality, you might want to stop and read below. This beard trimmer has a great design that is comfortable to hold and easy to use, but all without feeling bulky when you do so. 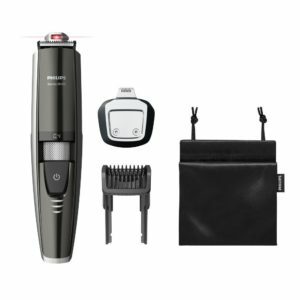 It comes as a whole grooming kit, complete with the trimmer, comb, blades, and a cleaner to keep everything nice and tidy when you have finished using it. It is really easy to use as well, with the heads sliding in neatly and detaching with great ease after being used. The guide combs come in variable lengths, allowing you to achieve the style you want in absolutely no time at all. For a really close cut, you can take the guide combs off and trim bare. The precision trimmer keeps everything in shape, while the high-carbon blades work hard to stay sharp at all times, giving you less to maintain. It even comes with a moustache brush and clipper oil. Some customers found the attachments a little fiddly to put on the trimmer. This beard trimmer is incredibly cheap, ensuring that it will fit into absolutely any budget with great ease. While there are some who have found it a little fiddly to put together, it does make for a great device that really gets the job done when you need it to. Considering the price, it really does do a good job, and there is a whole load of added extras that come with it to make your shaving experience a better one. Here are some further models of beard trimmer, just in case the ones above do not quite meet your requirements. This is a great multi-functional beard and stubble trimmer, and it works effortlessly to shave every inch of your face – including sideburns – so that you are left with a truly clean shave. The double blade adapts to the way your face is shaped for a more even result as well as a more comfortable finish. It can also be used for both wet and dry shaving, making it quite versatile. After only 1.5 hours of charging, you are left with a full hour of shaving time, which should leave you with around 20 shaves before it needs to go on again. There is also a charge indicator to let you know how much battery is left and when it needs to go back on charge. It all comes at a great, reasonable, price too. This beard trimmer has an advanced design that allows for the head to be adjusted freely so that it runs perfectly along the contours of your face for a really smooth and clean cut. The ergonomic design means that it fits perfectly in the palm of your hand and won’t cause soreness or fatigue when you have to shave for longer periods of time. It has a whole range of interchangeable heads so that you can achieve the perfect shave with the closeness that you want. As the heads are removable, the whole thing is also much easier to clean, which takes some of the hassle away from you. It comes at a good price, and is certainly one worth considering. 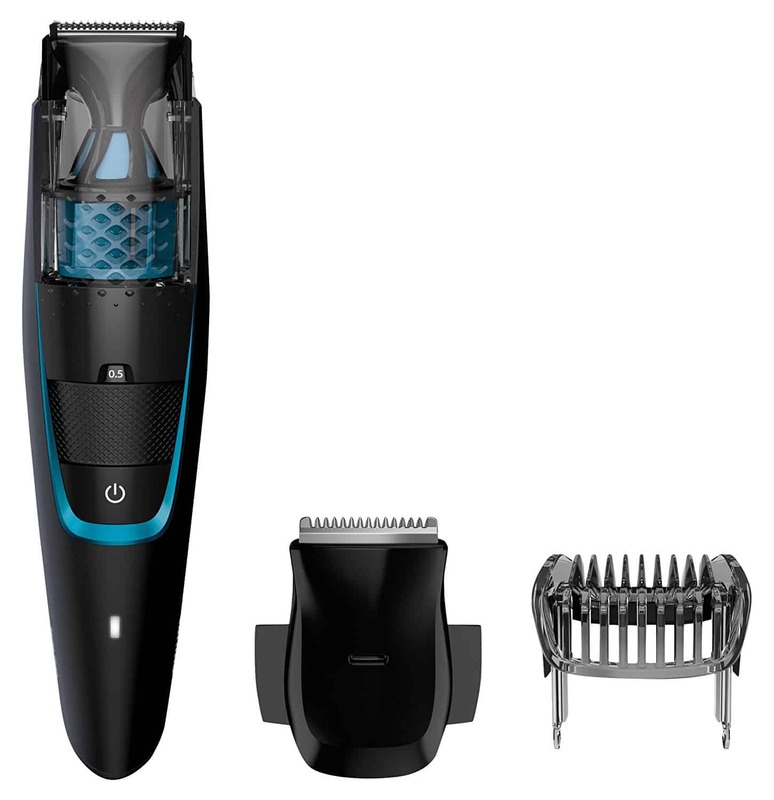 Hopefully, this guide has helped you to find the best beard trimmer UK, and that the beard trimmer UK reviews have provided you with everything you need to make the best possible decision with regards to which ones are going to provide you with the cleanest shave. We have taken the time to choose some of the best beard and stubble trimmers around, allowing you to make an informed choice as well as go with brands that you know and love. Aside from picking the top-quality products on the market, we have also ensured that there is a whole range of prices listed here, so there is something to fit into everyone’s budget quite comfortably. Regardless of the kind of trimmer you are looking for, you are sure to find it here. What did you think of our beard trimmer guide? Are there any that you would have liked to see or recommended? We love hearing from you, so make sure to leave us a message in the comments below.